There are a lot of things in this world that I don’t understand. War. Violence. Racism. Cats. Golf. Red velvet cupcakes. For the life of me, I do not understand the appeal of the red velvet dessert phenomenon. The thought of eating something artificially dyed with God-knows-what food colouring makes me cringe. The often used flavouring of a wee bit of cocoa is barely detectable and is, frankly, disappointing. “Oh, but they’re so pretty!”…it’s totally fake, sister! You can’t fool me. So when I was reviewing the brilliant new book, Roots: The Definitive Compendium with more than 225 Recipes by Portland author, Diane Morgan, I was intrigued to find a recipe for red velvet cupcakes. In which section you may ask? The beet chapter, of course. Instead of using a bottle of red food colouring to taint the cupcakes, the recipe calls for puréed roasted beets. Clever. I was glad to see an alternative to the usual red velvet cupcake recipe but wasn’t planning to make them until the Kid got a hold of the book and talked me into making them for Thanksgiving guests. 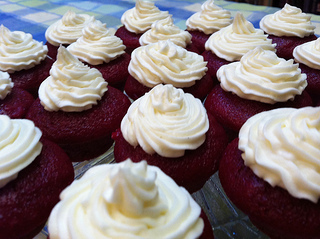 “Beet red velvet cupcakes! The red is completely natural! Our friends won’t even know! Get it, BEET red velvet!” followed by a peel of 8 year old laughter. 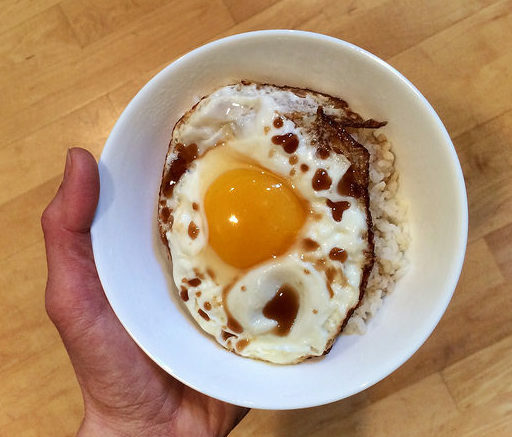 The recipe is deceptively easy. Roast the beets to conserve their deep, rich colour. Peel then purée them and add them to a very simple cake batter that doesn’t even require a mixer. Bake into vibrant magenta fluffiness. No food colouring. Nothing artificial. The proof in the pudding was when I served them to our friends. The kids flocked to the cake stand and started chowing down. No one thought twice about them until our kid spilled the beans and told everyone they were BEET red velvet cupcakes. Often it’s best just to stay quiet and keep the peace. Working at a bookstore dedicated to everything epicurean is a dream come true. One of the reasons why I started working there was because I had amassed an unspeakable number of cookbooks and was cut off from buying anymore. But I had a scheme…by working at the shop, I would have access to thousands of titles and I could read to my heart’s delight. I had a feeling that working at the shop would be enriching and educational, but I had no idea that I’d have the opportunity to meet well respected authors and chefs and learn so much about the culinary world. Every so often I’m going to share the joy and introduce you to some of my favourite authors who inspire me to read, cook, eat and write. Today I’d like to introduce you to Jennifer McLagan, award-winning author of titles such as Bones, Fat and Odd Bits. Yes, Jennifer tackles topics that are not fashionable but she does so with such conviction that it shreds away any preconceived notions you may have about them. Of these three books, my favourite is Odd Bits as it reminds me of many foods I grew up eating and loving such as tripe, tongue, oxtails and gizzards. And it supports the “waste not, want not” philosophy of nose-to-tail eating. She’s smart. Jennifer’s research into her topics is more in depth than any I’ve ever read. She not only spans history, she covers a breadth of cultures and ties it all to current food issues. She’s funny. This woman has wit to kill. She writes with humour yet respect and doesn’t downplay her topics. She writes well. Extremely well. Jennifer writes with integrity and in a style that is informative and authoritative yet approachable and engaging. I want to write like her when I grow up. She’s gutsy. Well, you have to be to devote entire books on unfashionable single subjects like bones, fat and offal. She’s not on the Food Network. Jennifer is understated, diminutive and a bit geeky (Jennifer, I mean this in the best of ways, coming from a self-professed geek myself!). Check out Jennifer’s books: have a good read, enjoy a little chuckle, learn a lot and eat well. You will be pleased. Where to find her books? At Barbara-Jo’s Books to Cooks, of course! Tell the lovely folks there that I sent you.